How many times have you played it?! Well, only finished it twice now but it took many, many tries to finish it the first time. I've completed the Mega Drive version too, but the game is different. 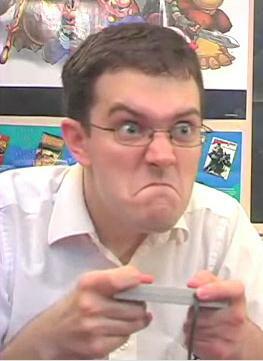 Which calls for the AVGN face again. Also, why is it that the hardest games always have the worst endings that flash by so fast that you almost miss it. Is there a time limit on modifying posts now? Already can't edit my post. Ah, I thought it was back on the forum page. Does it still have a 128kb bit-rate limit on the files?